Description: When you make the significant investment required for a plasma television, why not place it on one of these great stands With a modern, clean look, classic lines and a rich merlot finish the Induscraft Entertainment Stand is a piece that will create a unique vibe for any room. 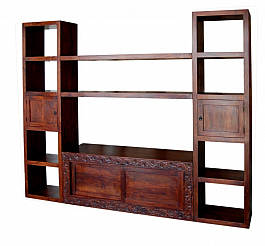 Use this stand for all of your entertainment, media, and television storage needs. Get caught up in Cityscape collection, and create your own urban feel. 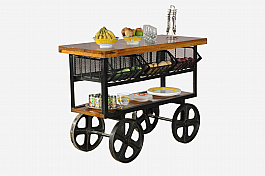 An urban Home "dezire" this kitchen cart cabinet will Surely add a touch of rustic/industr..